Newly released records from New York City Hall revealed that Mayor Bill de Blasio whining to his aides that he gets no “respect” from the city’s news media. A month prior to that email, de Blasio wrote in another one that he wanted to “release the tiger” by having first lady Chirlane McCray guest on a left-leaning cable news channel. It turned out, however, that no fangs need baring as McCray never appeared in any left-leaning cable news channel because, well, de Blasio got his intel wrong. The emails and the revelations contained in the mayor’s candid comments were part of over 14,000 pages of emails released by City Hall under cover of a day just as the news was dominated by the Senate Judiciary Committee hearing on SCOTUS nominee Brett Kavanaugh. Getting access to the said emails was not easy. 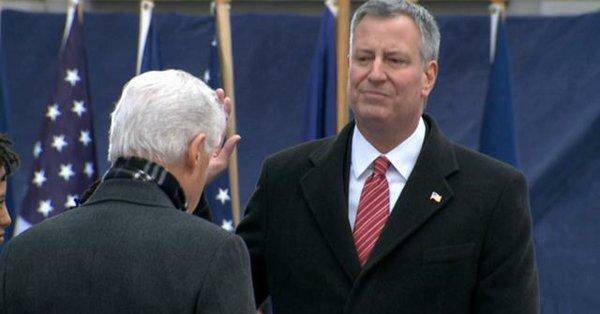 The Post and NY1 had to file a suit to get access as de Blasio claimed the emails were exempt from the state Freedom of Information Law on grounds that his political consultants were “agents of the city.” De Blasio’s arguments were shot down by a judge and an appeals court. There were other revelations including a meltdown of former de Blasio Peter Ragone emanating from the mayor showing up 20 minutes late for the 13th annual memorial of American Airlines Flight 587, which crashed over on the Rockaways in 2001. There were also emails that suggested that de Blasio’s February 3, 2014 guest on “The Daily Show with Jon Stewart” was totally scripted.